We are raw cashew nuts importer mostly from the Africa region. We are acknowledged as one of the topmost raw cashew nuts importers and raw cashew nuts suppliers in India. India is one of the largest cashew processors in the world but cashew cultivation is less. Only 20% to 25% of the cashew is cultivated in India. We provide best quality raw cashew nuts in India at the best price. 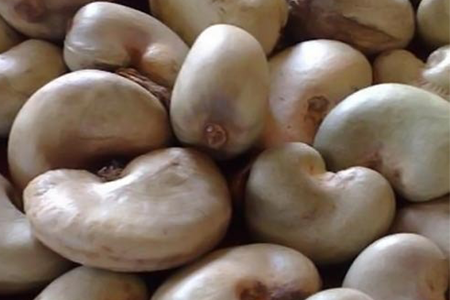 There is a huge demand in India for raw cashew nuts. The international trade in raw cashew is still young compared to other commodities. From raw cashew nuts varieties of cashew nuts are obtained like white wholes, scorched wholes, white pieces, scorched pieces, Dessert wholes, Dessert pieces. Packing: 50kg, 80kg Jute Bag.